When it comes to ebooks there is often a difference between ownership of an account at an ebookstore and using it. We have all long winked at the idea that a single account might be shared between several members of a household, but in light of yesterday's news about Amazon killing an account over violations of their policy this topic deserves a deeper look. Luckily this closure was later reversed (thanks to the public outcry and general stupidity of the decision). And as terrible as that was, there was a lesson in this. If we're going to be subject to the whims of CS drones don't you think we should know the specifics of the rules? 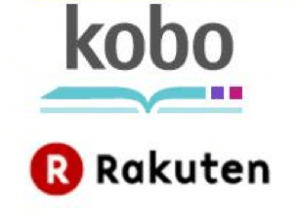 Kobo's contract with users is fairly standard boilerplate, and there was one particular clause which says that a "Registered Users" cannot share the ebooks, yada, yada, yada. It's boilerplate, but if you cannot guess what it says click on the link above. The thing is, the only person who is "Registered Users" is the one whose name is on the account. So naturally this raises questions about whether someone's spouse can use the account. Now that is an interesting question, isn't it? That's a very interesting answer, because it means that there are potentially millions of Kobo users currently in violation of Kobo's T&C. They are all at risk of having their account closed and losing access to their ebooks. But what's even more interesting is that apparently Kobo expects you to buy a separate copy of an ebook for each person in your household who want to read it! Heck, that's something I didn't even do for paper books, and it's certainly not something I'm going to start doing for ebooks. And while I'm sure it's some publishers wishing for this more than Kobo, this still came from Kobo customer service and the Kobo T&C. Kobo fits right in, don't they? Don't you wish Kobo had thought about the terms of the contract before writing the boilerplate? That way two members of one household can pay different amounts for the same book. Controversy for the sake of controversy? Kindle, Kobo and no doubt all other commercial ebook sellers are offering you a license to the content assigned to the buyer (technically the buyer’s account). No where does it say you have the right to hand over the content to dozens of others (or even one other). But you are allowed to put the content on multiple devices for your enjoyment. How you use those devices is up to you: including loading up a second licensed e-reader with your account content and then loaning that device to your spouse or neighbour. Follow these simple rules and everyone stays in compliance. Nothing has changed. Except that a contract is a contract is a contract. If Kobo is fine with what you describe then they should write that into the T&C and tell their CS dept. Except Steve Haber of Sony once spoke glowingly in a Sony podcast about how a mother and daughter shared ONE Sony Reader account — and they lived across the country from one another. And he had ZERO problems with that. I remember being at a demo of Adobe Digital rebook reader when it was first released many years ago. The rep went through the license agreement with some care and pointed out that under the rules, it was forbidden for anyone to read over your shoulder. That’s just how silly some of these guys are. I wonder who they think is reading any of there nearly 3,000 illustrated for kids books that they sell: http://www.kobobooks.com/browse/Illustrated_Kids/Zerc-vPd-UuMPArD5YBDGw-1.html. I received the same response from Smashwords. And Fictionwise has the same T&C. If your spouse also wants to read the ebook, they need to purchase their own copy unless they borrow your ereading device. Smashwords sells DRM free ebooks, so if you’re cut off you won’t be harmed all that much. And Fictionwise is so tiny they are irrelevant. Gosh, so crazy. Nate, loved your link to The Right to Read. What a brilliant and far sighted piece of writing! Amazon has the same thing in its TOS. So does B&N. All of the ebook stores do. All of them say that only the account owner has the right to access the ebooks–with the thin exception of Amazon and B&N’s limited loaner program. I have no idea what they expect is being done with children’s books. The official answer is, and has been, only the account holder can read the book–it’s against the TOS to hand your ereader to a friend, or your spouse, and let them read the same book. It’s not against copyright law, but it’s against the user agreement at the site. This, of course, directly contradicts Amazon’s frequent advice that spouses both share an account, and the advice they give for having relatives sign up on the same account. That advice is in the forums, not the TOS page; it’s unofficial. They *like* the arrangement that millions of people are technically breaking the rules and can be shut off at any time–for using ebooks the way books have been used for centuries. No, Amazon does not have this exact same language in their T&C. Theirs is much less strict. Also, if you head over to MR you will see the response they sent to Paul. It is very different from Kobo’s response. Amazon’s TOS does have the ubiquitous “personal noncommercial use” phrase, with neither of those terms defined. They dodged the question of “are there limits on the number of people to whom I may loan my device?” although the answer does imply that they’re not interested in controlling access to the text itself, only to the number/type of devices that can acquire the text. This, people, is why paper books are still best. I am quite sure that there are very few (if any) people who on there own, with no other people using the books in their account, own enough devices to reach the Kobo limit. Will Kobo come out and say we can share our accounts? Of course not. It opens all sorts of issues: if we can share with our spouses, can we share with our live-in partners? If we can share with our kids, do they have to live with us, or is there an age limit? I own several devices. My husband uses one of them. My son uses another. I have a Glo, a touch, and also read on my tablet. It’s all good. Amazon came out and said we can share accounts. Basically, Kindle accounts are *all* “family” accounts whereas Kobo accounts are *legally-speaking* individual accounts. In real word terms, you can do more or less the same thing with your Kobo account as with Amazon but you would be *technically* violating the termss of service. Whether Kobo or (more likely) a publisher would squawk is a whole different story. In reply to the main article, you said “But what’s even more interesting is that apparently Kobo expects you to buy a separate copy of an ebook for each person in your household who want to read it! And I believe that is something you did not do with Paperback books. You probably read the book and passed it on to the next person. If you go to Amazon or another big company, eBooks use to be a cheaper way to get a book for you and a cheaper way to sell books and make the same or more amount of profit. I went on amazon to look at a four book set (Paperback) $19.79 eBook $69.99, if you go to books On Board, they are shuting down their site and re-structuring. keeping Amazon and others out of their new site when it opens. because many people lost their books and are going to lose their accounts in two days IF YOU WANT TO KEEP YOUR BOOKS DOWNLOAD CALIBRE quote from booksonboard.com “Many of our customers are using Calibre or other tools to strip DRM from their downloaded eBooks in order to have them available indefinitely should they change reading devices. This is apparently being done for their personal use and convenience, not for piracy. We are told this is in the spirit of the eBook license and that it is common practice. We continue to attempt to re-structure to compete more effectively against Goliaths who have entered our marketplace since we first launched in 2006, i.e., Amazon, Apple, Google, Sony and Barnes & Noble. I baught a kobo reader original from a person . It was used. The reason that i baught it , is because it had around 200 books on it. When I tried to add books to it using my email address Kobo removed all 200 books from the Kobo. I felt as if kobo had robbed me. Someone baught and paid for those books. Then they decided to sell the Kobo to me. I baught it in good faith because it was a good deal. As it stand, I do not know what to do. You make an interesting point about being the owner of a book to pass around to others once read. We as a library service are considering applying for external funding to pilot using Kobos or similar devices to use for our reader groups. If we purchased 20 kobos and then 20 copies of one book could only the registered user read the books? We must get this right as a public service but it seems as though they spent all their time on making money and not the users rights. The bit about kids not being able to be customers because of the way they talk about accounts and account holders versus readers is absolutely crazed. If someone addressed the CEOs of these companies and said “Do you mean only the registered user can read what’s on the device?” and then pointed out no adult would be able to share childrens books and their child couldn’t buy any because of the minimum age 13 limit, so then asked “Are you only selling these to people who plan to break your rules? Does that make any sense?” What reply could they make? This isn’t just idiotic under the surface….it’s idiotic entirely and from the start in the most obvious way. Any human with a half functional brain would recognize the stupidity of the contradictory nature of their current operations. And then they wonder why people buy Calibre, rip the DRM off, and have DRM free ebooks they can load on any reader and share with family members (just like you could with a real paper book). Frankly, most of my books were paperback novels. The novelist should get at least as much out of an ebook as they did out of a novel since price points were similar. I could loan that paper book to anyone and nobody could object. Why now are they trying to roll back that capability? (Oh, I know why and it rhymes with “reedy grass birds”). I’m happy with the novelist getting his or her money (I want them to get more of the purchase price and less going to media houses and publishers). I’m going to support authors I like because I want them to keep writing. So do most people. Their dumb policies and operating methods are DRIVING the piracy and the sense of customer disaffection that leads to people giving up on their products and ripping the DRM off their files. The publishers and sellers seem largely complicit in creating an environment where their customers will despise them and go to some lengths to ignore their rules and free the information. The stupidity doesn’t end there because IT DIDN’T HAVE TO BE LIKE THIS. Don’t buy DRM encrusted books. Don’t deal with these companies. Tell them why you aren’t dealing with them (and I don’t mean CS people, I mean their execs). That’s the only way it will change – if you hit them in the wallet. I have also deleted details from my wife’s account. BUT NEITHER OF US ARE ABLE TO DO SO, we both registered in late December 2014 and everything was fine. I would normally ask you to double check and make sure you’re on the right page on the Kobo website, but it sounds like you already were on the log in page. I read to my spouse from my enooks. Is that illegal to do? Sharing books is a long time practice. Along with trading books with others. If something is a long term practice which has been accepted by society in regards to exchanging and trading books, shouldn’t ebooks be the same if one had paid for the book? If I pay for a book, paperback or hardcover, don’t I own that book? If I want to give I it to someone else to read I can do so. The book belongs to me to do with it as I want. Sell it, give it away or lend it to someone to read. Shouldn’ t ebooks be the same so long as it is on my device and not electronically transferred? I share your sentiments, Brenda. It’s our right. But, the media moguls want to take that right from us, and they’ve lined the pockets of our congressmen. It’s a long sad story. It’s our right. But, it’s a right we may have to fight for. Remember this when you vote, buy, or watch a commercially delivered show. I wanted to separate this post from my reply to Brenda. Remember folks, Piracy is not a victimless crime. When your political leaders (I said “congressmen” before, I know many are not Americans.) when your leaders steal your public domain and give it to companies like Disney, YOU are the victim. I think it’s important to realize that it’s not the manufacturer of the ereader device which puts these rules in place, it’s the “owner of the content” (i.e., the publisher). With paper books, there are two things which make “sharing” not so bad: One is that only one person can own a physical copy of a book at any one time. Once I pass it on to someone else, I don’t have it myself anymore. The second is that physical books “deteriorate” when you read them (if only slightly) and people are willing to spend extra money for a pristine copy. Very big companies like Apple can go and stand on the side of their customers and say “We will allow “family sharing” by allowing up to 5 people to access the same content on their devices.” Apple is so big that content owners are hesitant to tell them “no, you won’t get our content.” And even there, you can count on it that the negotiations have been fierce. But a small ereader manufacturer? Content owners know very well that an ereader is nothing without the content, so they have quite a good position during the negotiations. This is a difficult situation where the interests of publishers, customers, and equipment manufacturers are not aligned at all. I personally think that this “share with 5 people” is reasonable, especially now that Apple has already “broken the ice”. But again, it’s up to the content owners to agree to this, and up to the equipment manufacturers to implement this sharing feature in a way which the content owners trust (i.e., which is not easily circumvented).